Is your local church lazy? Is it one of those “playing church” churches? Do your fellow church members just show up once a week for a couple hours to veg-out and return back to their everyday lives? What does it mean to be a “hot” Christian? Playing church or going through the motions is not being “hot” for God. People are tired of fake Christians who talk the talk, but don’t walk the walk. One of the main reasons many of our Adventist churches are dying or maintaining status quo is because our church leaders choose not to be real and relevant, which then produces more wannabe Christians who play copycat and continue the lukewarmness of playing Christian. Our senior church leaders need to take off the suits and ties and truly connect with the church members and community. 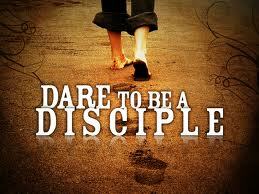 They need to begin training and mentoring church members in the areas of discipleship and mission. And as church leaders and members are trained, they then need to be held accountable to the mission to seek and to save the lost. Every church leader and active member should have a portfolio of ministry. As church leaders and members discover their spiritual gifts and are trained and mentored in how to use their gifts, they need to be plugged into active ministry ASAP. Everything in church must be designed and staffed around seeking and saving the lost. If a local church does not have a ministry for every member, then the leaders need to develop more ministries. The time has come for us to get out of the church buildings and begin mingling with others in the community. “We are not to wait for souls to come to us; we must seek them out where they are. When the Word has been preached in the pulpit, the work has but just began. There are multitudes who will never be reached by the gospel unless it is carried to them.” –Christ’s Object Lessons, p. 229. What would local churches look like if we actually followed this counsel? A lot different!!! Hotter!!! Jesus is coming back soon!!! Let’s stop playing church and get to work spreading the good news of His amazing love and grace. Let’s be hot for God! Amen! I will share this with my English Church members this Sabbath. Good article. If more pastors were following this ministry structure, their churches would surely grow and they would be less frustrated and burnt out.